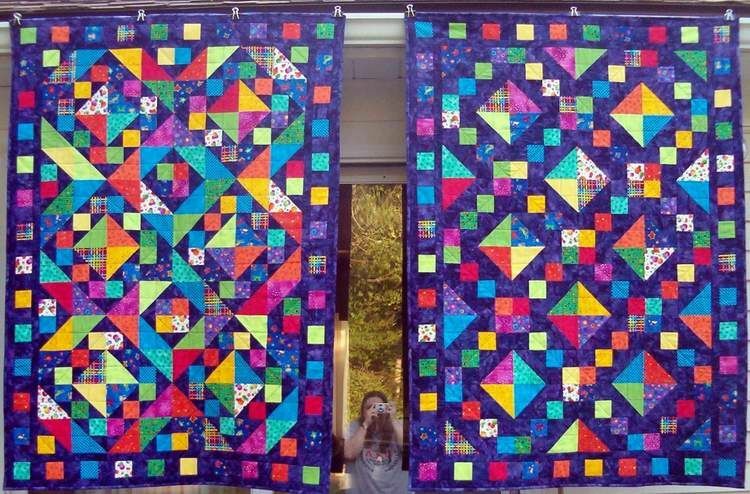 Years ago I read an article in Quilt Quilts # 31 (2002) where the quilter made a pair of quilts for her twin niece and nephew. I really liked the quilts and the concept so filed the information away for future use. Four years later, I found out my niece was expecting twins, so I dug out the magazine. That year, I also attended my first Quilt Shop Hop. At each store I purchased one or two bright-colored FQs. I decided to pair it with a purple batik. The quilt on the right is laid out in the Jewel Boxes pattern. This one I gave to my great-niece Baily. The one on the left I gave to my great-nephew Brock and call it Treasure Boxes. Both quilts have Warm and Natural batting and measure 40 x 56. They were quilted on my sewing machine, probably with a purple thread. Leftovers from those brightly colored FQs went on to star in an other quilts (No Blue Geese in my Tropical Garden comes to mind). And that purple batik? I’ve used it in several quilts as well, having gone back and finally buying a bolt of it. 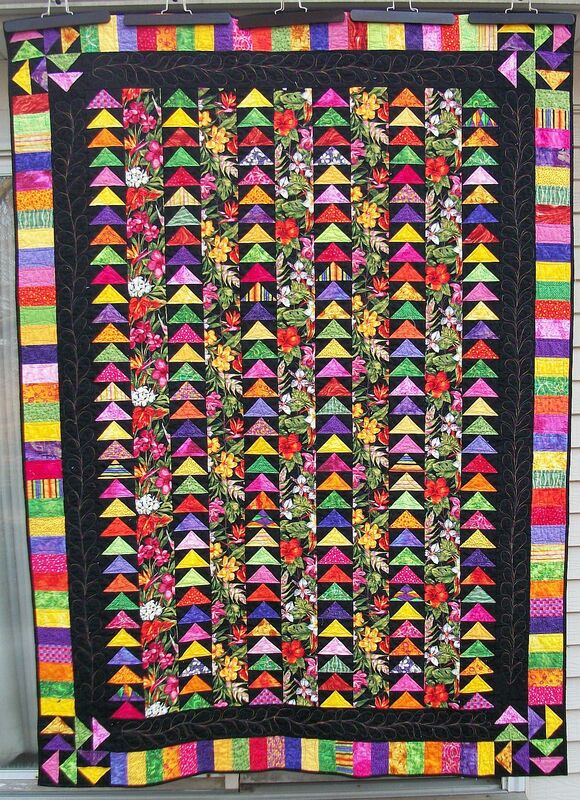 Beautiful quilts!!! Love the colors and patterns…drooling on my keyboard here!!! Awesome! I love the bright colours. Glad I am not the only one who saves old magazines. Evelyn – thanks for stopping by. Oh, yes, I save my magazines, but periodically go through them, if nothing catches my eye any more. I can’t remember how many I got rid of when I painted my sewing room, but I got them down to just one 48″ long shelf. I just went through them again, but only found 3 or 4 inches to pass along to someone else. To keep my sanity, I have to keep them to that one shelf or I start tripping over them all over the house.